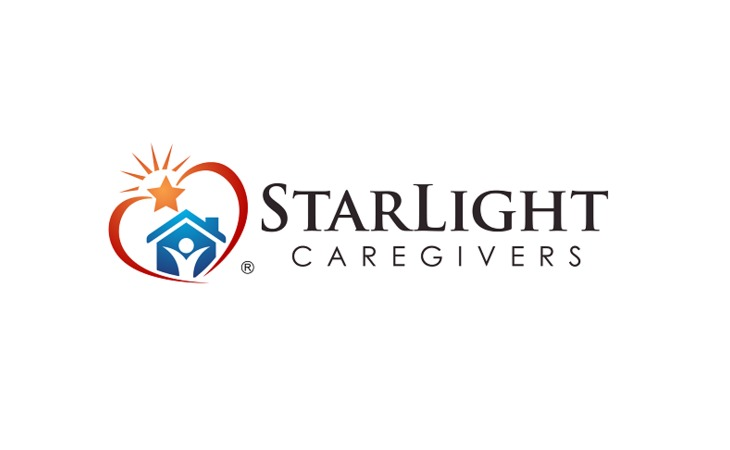 Reviews of StarLight CareGivers, Inc.
Home Care Reviews for StarLight CareGivers, Inc.
My Mother lived at home until she was 92, so we had many caregivers- from people I got from an ad to other companies like this one. I would say this company was the best of all of them. They are very attentive, prompt, and business-like, while being caring and human, too. The family portal is a valuable tool to check on activities, etc. I would choose them again in the same situation. I have just finished a five week post-surgery care with Starlight. My caregiver was beautifully matched to my needs and her professionalism, tenderness and humor helped so much in my recovery. The following is a review from my daughter who set up the home care for me: Starlight Caregivers couldn't have been a better service. My mother shattered her shoulder, and I needed to quickly find care for her when she came home from the hospital. Duanni, the founder, met with me and my mother while she was still in the hospital; from there she was able to personally select the right caregiver for my mothers' pain management and movement restriction needs. Zoila, the caregiver, not only gave fantastic care to my mother, but was also a much-needed companion to her during this stressful recovery period. My mother was thrilled to have someone who was both responsible and sensitive by her side. The billing and communication process was beautifully facilitated through the Starlight Caregivers website portal - never once did I feel "out of the loop" or uninformed as to how my mother was progressing in her recovery or how the caregiver rotation was being handled by Starlight Caregivers. All in all, I would wholeheartedly recommend this service to anyone looking to find in-home care. Starlight Caregivers couldn't have been a better service. My mother shattered her shoulder, and I needed to quickly find care for her when she came home from the hospital. Duanni Hurd, the founder, met with myself and my mother while she was still in the hospital; from there she was able to personally select the right caregiver for my mothers' pain management and movement restriction needs. Zoila, the caregiver, not only gave fantastic care to my mother, but was also a much-needed companion to her during this stressful recovery period. My mother was thrilled to have someone who was both responsible and sensitive by her side. The billing and communication process was beautifully facilitated through the Starlight Caregivers website portal - never once did I feel "out of the loop" or uninformed as to how my mother was progressing in her recovery or how the caregiver rotation was being handled by Starlight Caregivers. All in all, I would wholeheartedly recommend this service to anyone looking to find in-home care. I'm a member of Avenidas Village. It is a membership organization that is designed to help seniors age in their homes. One of the things they do is construct a vendor list. I knew I was going to have an operation and that I live alone and I would need some care. I talked to them about who they would recommend and they gave me 3 names of providers and one of them was Starlight. I talked with Starlight and I went with them. I decided to hire them because they spent quite a bit of time with me on the telephone explaining to me how they operate; what their policies are; how they source their caregivers; how they check them out and make sure that they are qualified. They have 12 different things that they have to verify before they hire somebody. They told me that they hire maybe 5% of the total number of applicants because they just exactly want the right people. With further interest on my part, they came out to assess my home to see if we were appropriate for them. In that process, I talked to them and saw the material they provide for their clients. I was just impressed with the thoroughness and the organization. I had a very strong sense that they know what they're doing. I've only had two separate people. One caregiver in particular is absolutely excellent. The second one was also good. What made the first one excellent is that she's capable, competent and at the same time she pays attention to what is said to her. She anticipates what's needed but she doesn't force it on you. It's just all a very smooth and seamless relationship and she was not at all possessive of her way. Starlight Caregivers are extremely professional, helpful and sympathetic to our needs specially when we were going through hospice care for my grandmother . They were very resourceful . They were able to provide us with few documents like proof of insurance and coverage. In a very professional manner, they were telling us they really carefully screen their employees and that gave us a lot of comfort. They highly specialized in bilingual service specially Chinese elderly and that was definitely something that we desperately needed for my grandmother because she didn't speak English After her passing days, they still followed up with us and see how the family was doing and provided us with resources to help cope us with the loss. I very much feel that they were part of our family. They have the most personable care. The owner of StartLight really paid attention to my mother and that’s really a big help. The caregiver named Amber is really a good fit for my mom. Through the interview process that we had with the owner, she really narrowed it down to what my mom’s likes and dislikes were. She did a great job in matching the caregiver with my mother. Amber is a very caring person, respectful, calm, and listens to what my mom’s needs are. I give Starlight a very high recommendation. They were very conscientious about providing care for my husband. They provided the right kind of person for him. They were congenial, loving and thoughtful. They were so engaged with him. They walked with him, read to him and played games with him. My husband was well cared for. StarLight CareGivers is an independently owned small business located on the San Francisco Peninsula in Los Altos and is deeply honored for the opportunity to work with seniors and the disabled in our community. We strive to deliver client-centered care and understand that our ultimate success is dependent upon client satisfaction and delivering high-quality home care. Whether care is needed once a week, partial days, whole days, or every day, StarLight CareGivers is dedicated to providing the highest quality, cost-effective home care solutions so that our clients may enjoy their independence, enhance their quality of life, and bring peace of mind to the entire family. Our trained and experienced CareGivers are compassionate and committed to supporting your needs. Photos of StarLight CareGivers, Inc.
Services and Amenities of StarLight CareGivers, Inc.
Travel Details: Staff Will Travel 30+ Miles To Provide Care. Start your review of StarLight CareGivers, Inc.
What should caregivers and potential clients know about StarLight CareGivers, Inc.?